The Cohen Cramer Proceeds of Crime Act team works exclusively on POCA matters offering a broad range of services from contesting the Crown’s case to all ancillary matters such as applications to reduce amounts owing and getting extra time to pay. Our knowledge and experience allows us to offer services that provide you with the legal advice you need when you need it. As well as our expertise in confiscation law we can also deal with the selling of assets including, with the assistance of our specialist POCA conveyancing department, residential property for the purposes of settling confiscation orders. We receive instruction not only from clients who we have represented during their criminal proceedings but many others who, as a result of our reputation, want us to deal with their POCA matter after they have been convicted. If required we deal with any legal aid issues and again our skill at such ensures that the transfer of your legal aid to us is as smooth as trouble free as is possible in what can be a complicated and complex procedure. If once the original confiscation proceedings have concluded, the Prosecution seeks to increase the available amount for recovery we are here to provide you with the assistance you need to deal with such. To ensure that you have the best legal team you can we regularly instruct specialist forensic experts and a select number of specialist barristers. We will deal with confiscation cases anywhere in England and Wales. The ‘superb team of lawyers’ making up Cohen Cramer’s fraud practice ‘goes the extra mile for their clients’ and are considered an ‘obvious choice for quality representation’. It has experience defending clients in a full spectrum of financial crimes and fraud cases, including missing trader allegations, tax fraud, money laundering and care home frauds. 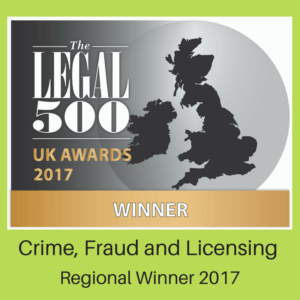 The crime, fraud and regulatory practice is headed by John Goodwin, a ‘master in the field of fraud’ who is praised for his ‘high-calibre legal knowledge and very impressive client care’. Goodwin handles the full spectrum of fraud work, ranging from property-related matters to people trafficking. John Goodwin heads the crime, fraud and regulatory team at Cohen Cramer in Leeds. John Hera joined the POCA team in March 2016. The firm covers MTIC and carousel frauds, tax fraud, substantial drug prosecutions involving major money-laundering elements, other complex money-laundering cases, estate fraud and care home fraud, among other things. The team acts for individual defendants as well as corporate and professional clients.